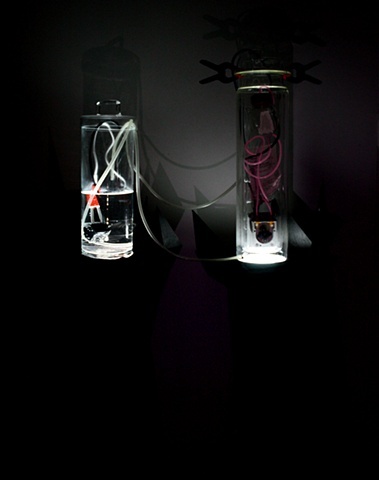 The glass bioreactor system is an artificial body of sorts. It is a sterile low-fi instrument operating at 37 degrees Celsius (human body temperature). It acts as an accessible alternative to a laboratory incubator, in its ability to support living mammal tissue, and additionally allows for the viewing of biotech processes, living cells, and tissue forms in public spaces such as galleries.